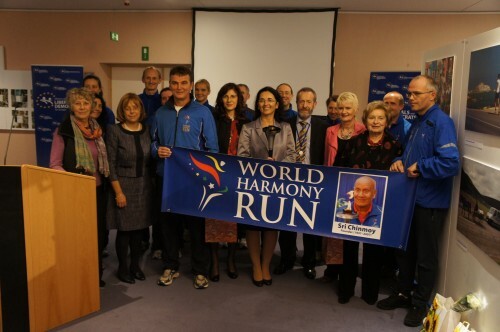 The World Harmony Run was invited to the European Parliament in Brussels today. 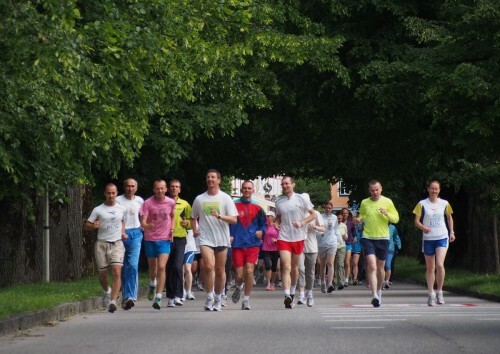 During a special program the runners shared Sri Chinmoy’s vision of world-peace and harmony with European politicians from different countries. 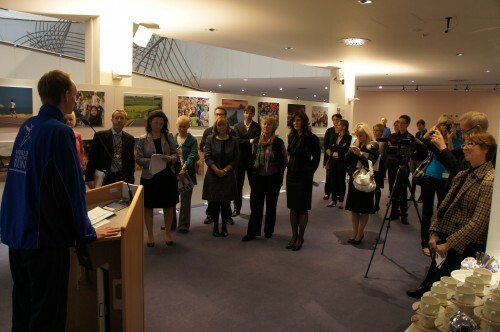 Ten MEPs (Members of European Parliament) from Ireland, Finland, Estonia, Slovenia, Luxemburg, Austria and Denmark participated in the program which took place inside the Parliament building. 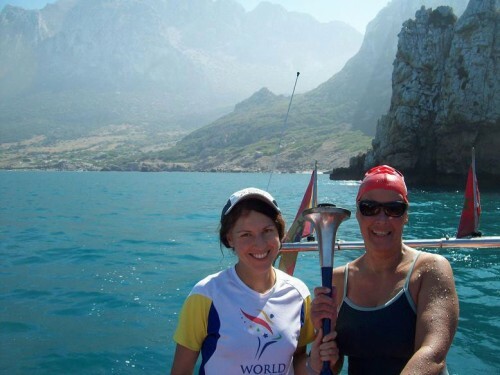 The MEPs held the Peace Torch and gave glowing speeches praising the initiative of running for peace. 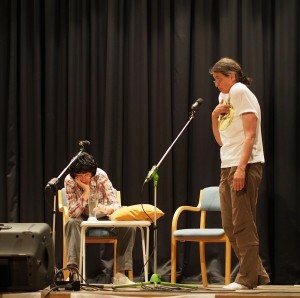 The ceremony was hosted by Angelika Werthmann, MEP from Austria. 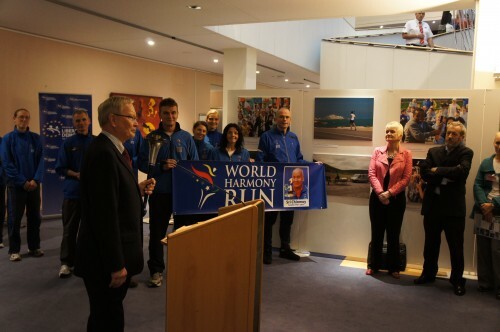 One MEP told the runners, “You are the living embodiment of the motto of the European Parliament, ‘unity in diversity’.” It was the sixth visit of the World Harmony Run to the European Parliament since 2006. 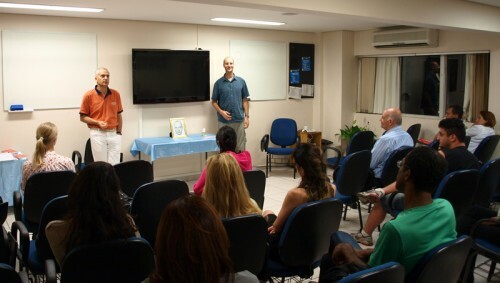 A photo exhibition with photographs from the Run in Europe was presented together with the ceremony. 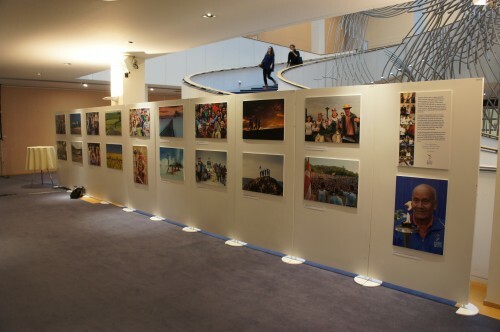 The photo’s will be displayed in the European Parliament for the rest of the year. 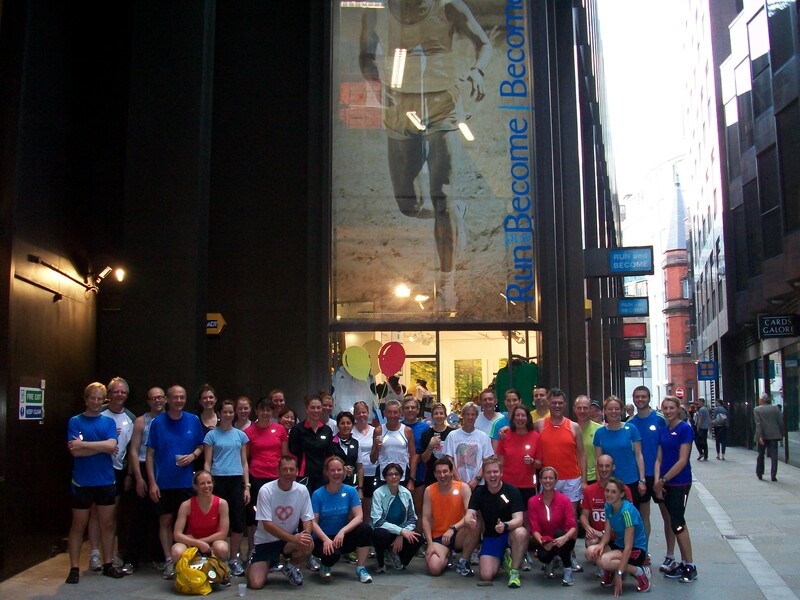 Last June “Run & Become” the UK based chain of running stores founded by students of Sri Chinmoy celebrated its 30th anniversary. 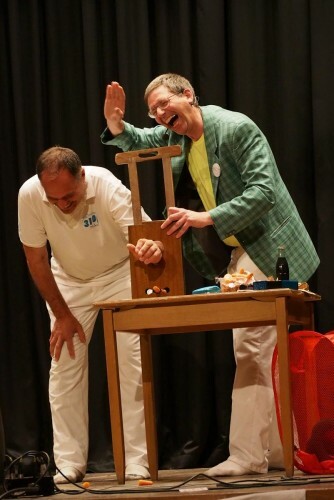 As part of the celebrations Ashrita Furman broke a new Guinness Book record by popping 170 balloons in one minute. 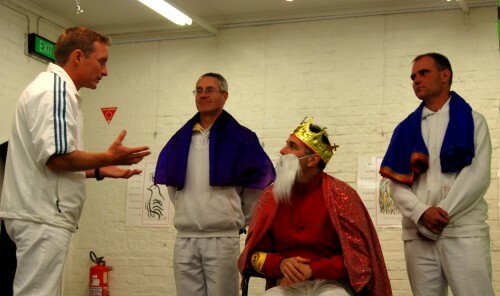 Ashrita, himself a student of Sri Chinmoy, is known for holding the most Guinness Book records in the world. 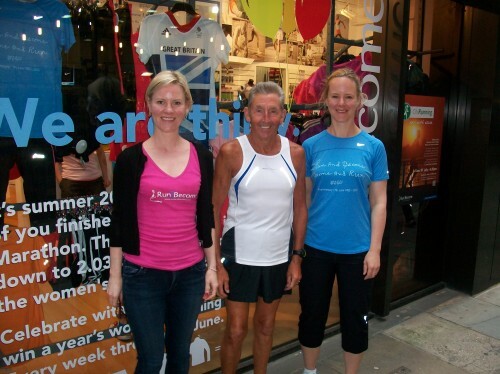 Legendary marathon runner Ron Hill paid a special visit to the London shop to congratulate the staff with their anniversary. 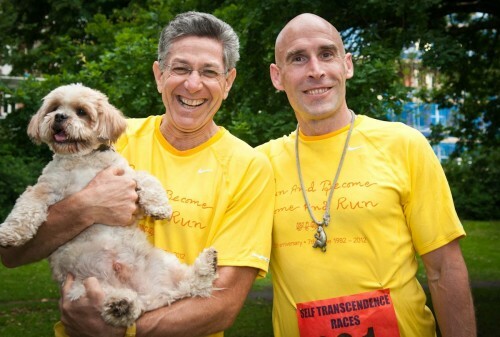 “Run & Become” also received special accolades from Barefoot Ted, the barefoot runner made famous by his appearance in Christopher McDougall’s bestseller ‘Born to Run’. Ashrita and Barefoot Ted met and inspired each other by swapping record ideas. Ashrita says he is able to break world records by using prayer, meditation and visualization. 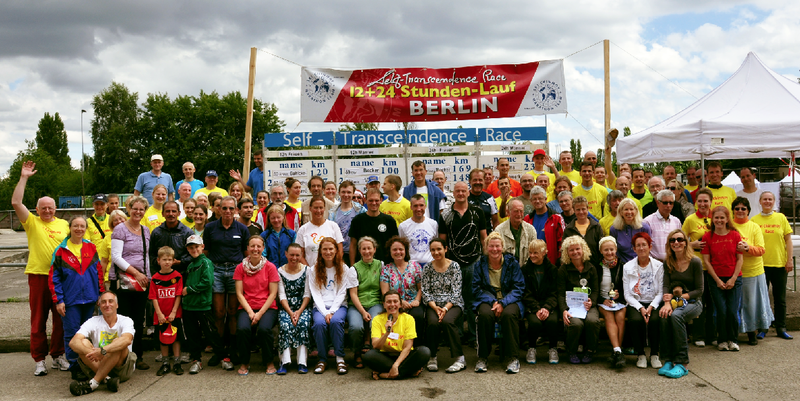 The Self-Transcendence 12 & 24 hour race organized by the Sri Chinmoy Marathon Team in Berlin honoured its name by registering two new records broken. 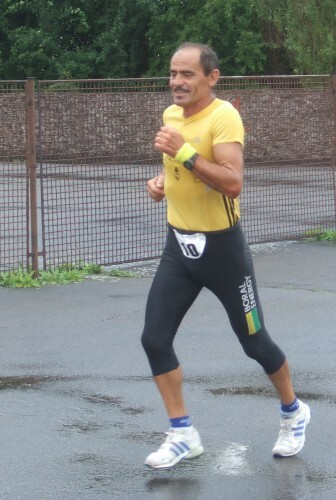 Ultrarunning legend Yannis Kouros, world-record holder in the 24 hours, 48 hours and the 100 miles, set a new world record in his age category (over 50) in the 12 hours by running 127.984 kilometres – an average of 10.6K per hour. 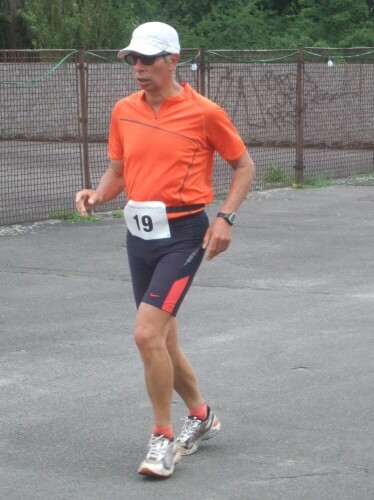 Dutch ultrarunner Jos Akkermans broke the Dutch national record in his age category (over 60) by logging 177.186 kilometres in the 24 hour race. 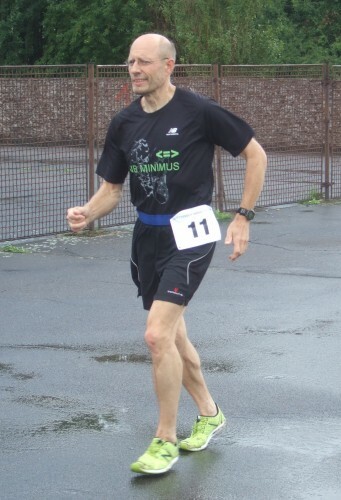 Another ultrarunning legend, Madhupran Wolfgang Schwerk, world-record holder of the 3100 Mile Race (the longest certified race in the world) just missed the world record in the 100 miles during the 24 hour race. 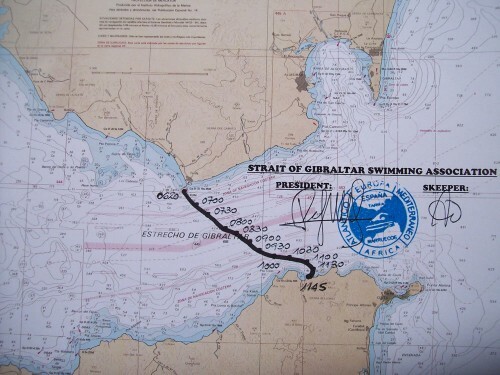 He completed the 24 hours by running 204.76 kilometres, placing second. 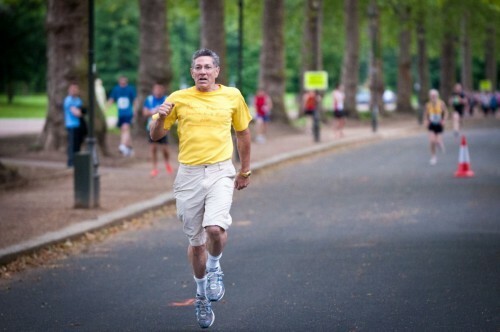 In the beginning of July the Sri Chinmoy Marathon Team in Bristol, UK, organized their first triathlon. 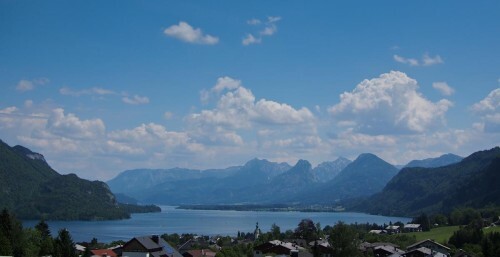 The event was targeted to beginning triathletes, combining a 246 meter swim (or 8 lengths of an outdoor pool), a 17K bike ride and a 3K run. 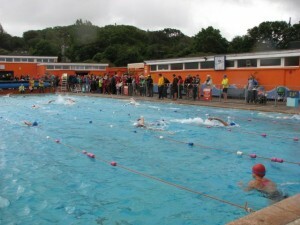 One hundred aspiring triathletes competed, which was the maximum number of participants allowed. 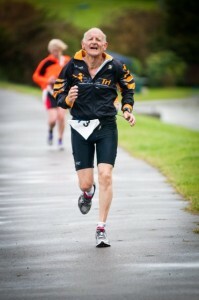 Despite the rainy weather the event was a great success and will become a yearly feature. 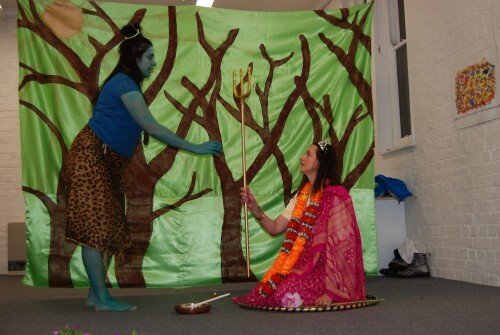 Recently the Sri Chinmoy Centre in Melbourne hosted a Joy-Day. 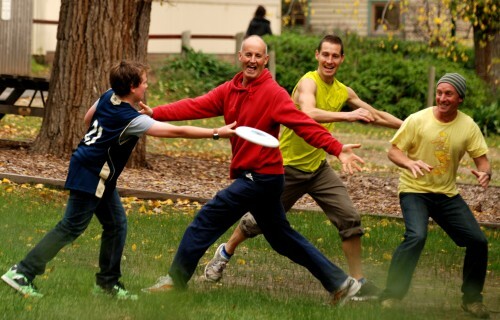 Students of Sri Chinmoy from all over Australia and New Zealand came together to enjoy group meditations, singing spiritual songs together, acting out spiritual plays and participating in lots of fun and games.